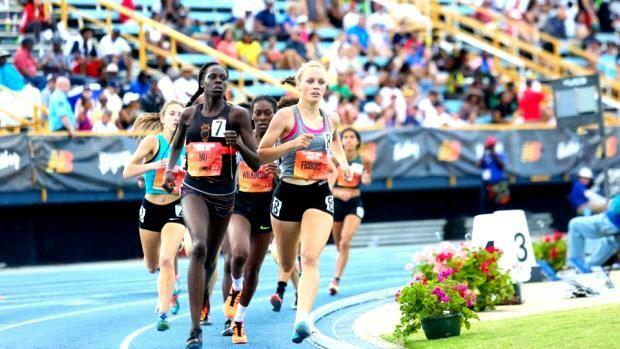 With so many great performances at the New Balance Nationals Outdoor (NBNO) Championships this past weekend, this was not an easy task. What we did here is picked the five that we felt stood out from the rest. Below is a quick recap of our nominees and our final poll. Vote for the one performance you believe belongs at the top. Voting ends Saturday at midnight. 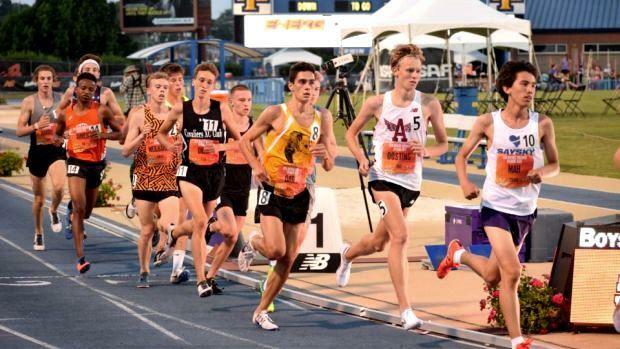 Newton North's Andrew Mah certainly gave us a good opening act by winning his first national title on Friday with a big victory in the Championship 5K. Mah upset the field, including runner-up and defending champion Ryan Oosting of Arlington, with a PR of 14:32.96. The Bay State also had an individual winner in the Championship Discus. In this event, top seed Sam Welsh of Concord Academy claimed gold with a heave of 203-11. 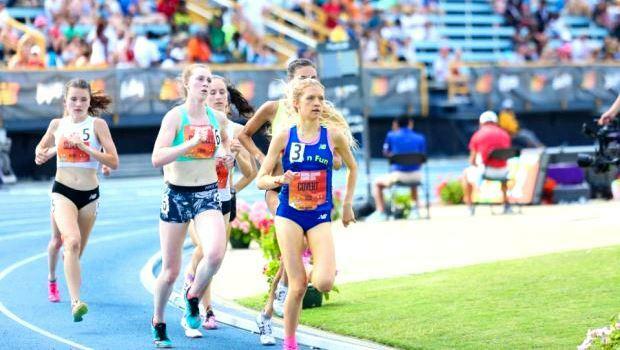 The Championship Mile saw an amazing national record of 4:33.87 set by sophomore Katelyn Tuohy of Rockland (NY). The race also saw one of our own crack 4:50 for the first time and also take runner-up honors. Natick's Grace Connolly earned that distinction with a PB of 4:49.34. In the Championship 800m, Acton-Boxborough's Samantha Friborg ran neck-and-neck with the leaders and was in second after the first lap. The gutsy senior held on down the final straightaway to finish fourth overall with a PR of 2:06.13. 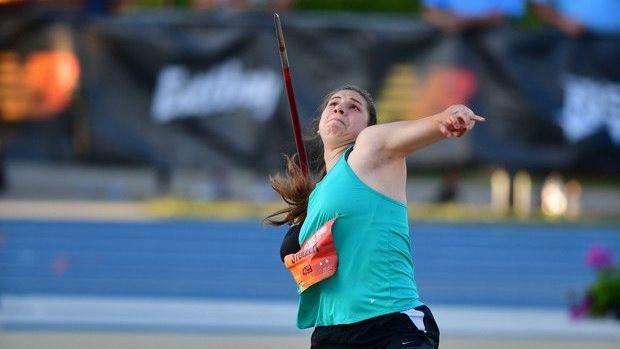 Sharon's Shira Stoller made All American for the first time and improved on her 2017 performance by six placements by placing second in the Championship Javelin with a toss of 148-10. 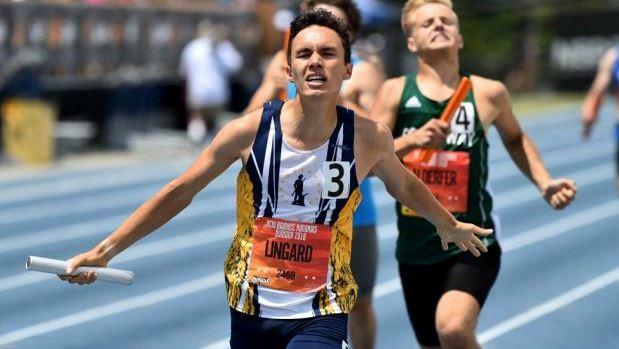 Finally, Lexington's quartet of Kazu Uda-Thach, Cameron Hofland, Lucas Honohan and Thomas Lingard combined for a time of state-leading time of 3:28.11 to finish third overall in the Championship 1,600m Sprint Medley Relay.